The value of V nickels are $1.20 to $3.00 each. Also called Liberty Nickels, this price is for common date coins in "Good" or better condition. Hopefully your coins date back to the early years of mintage, containing many rare and very valuable dates. For example, starting values for a heavily worn Liberty V Nickel dated before 1897 is $4.5 to $7. Discover an 1885 in your group and its scarcity commands at least $222. Another point to consider is the value of Liberty Nickels jumps dramatically as the "Grade" or condition improves. Collectors always desire coins in the best condition they can afford. Grading your coins is covered in more detail below. The following chart clearly shows the value of V nickels is "condition" driven. Your chances of finding a rare date are not as good as finding a better grade coin. If you have the slightest doubt your Liberty Nickel is closer to a higher grade and the much higher value, have it graded by either NGC or PCGS. The above are wholesale Liberty nickel coin values. Computed from dealer's price lists with various mark-up factors figured in. They reflect closely the value you would expect to receive when selling. Compare the condition of your coins to the images below. Assign each a grade. Notice the rise in values on the chart as the condition gets better. Line your V nickels in a row, putting the worst condition coins at one end and the best at the other. Focus your attention on the head band in Liberty's hair. As more letters in the legend "LIBERTY" show, the better the condition. No letters, Good condition, 3 letters VG condition, a full "LIBERTY" and your nickel is in Fine or better condition. The difference in value of V nickels from one date and "grade" is often large. Collectors and dealer consider PCGS and NGC as leaders in coin grading services. They both authenticate and grade your coin. The small fee you pay provides assurance you understand and receive the full value of your coin. The one date dealers, collectors and you are looking for is the elusive 1885. Heavily worn and still worth $222. Discover one bright and like new, and it auctions for $1400 to $1500. Followed closely by the 1886. A popular, rare and always in demand Liberty Nickel. If this coin turns up in your box, and in better than Good condition. Expect $119 or more from most rare coin dealers. 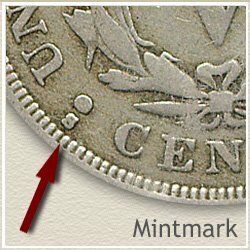 Don't over look the "S" mint mark. It indicates the coin was minted in San Francisco. Using a magnifying glass, find the "S" on the reverse, just to the left of "CENTS". The minimum value of a 1912-S in good condition is $78. Perhaps your V Nickels are the beginnings of a collection. One successful approach is to sell all your coins and use the proceeds to purchase one nice rare coin... the one you where hoping to find in the box. Pass the thrill of a rare and valuable coin on to your children. With the value of V nickels starting at an affordable $1.20 or $3 dollars. The fact they haven't been minted since 1912 and today's current wave of design changes. All if this combined is bound to create renewed interest in Liberty Nickels. Sparking demand from seasoned and new collectors. Rising values are always the result. Stay current with coin values, return here whenever curious of the value of V nickels. The index page for the Shield, Liberty, Buffalo, Jefferson and Three Cent Nickels. Find the rare nickels in your box of old coins by matching your coins to the grading images and value charts. Visit the in-depth Liberty nickel grading video, combined with enlarged images and detailed descriptions. Dates of your coins are only part of nickel value. Follow the steps to grading condition and it leads to how much your coins are worth, accurately. 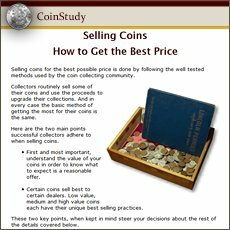 Coin Values Discovery... find the Value of V Nickels and... All old US coin values. It is an excellent index with images and text links to all coin series, from Cents to Gold. Value charts, grading images and descriptions uncover how much your box of old coins is worth. Print the handy Coin Values Worksheet - link is located in the navigation area - list your coins and record their values. Should you decide to sell... use the worksheet as an invoice and packing slip when sending coins through the mail to dealers. It indicates you have done your coin values homework.